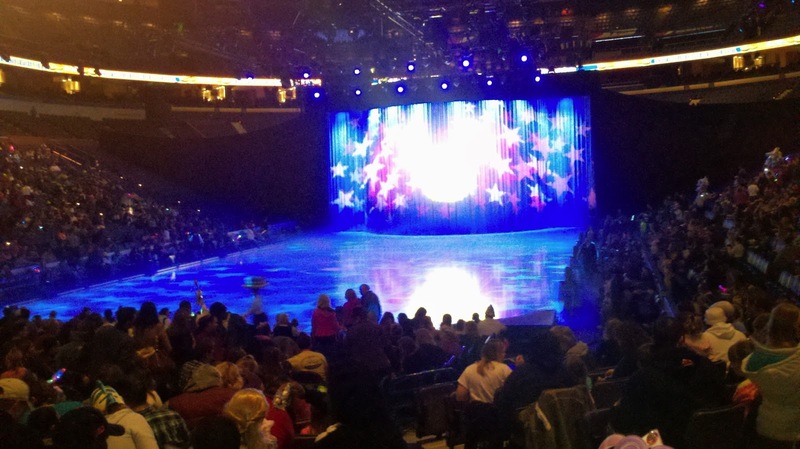 MamaBreak: Disney on Ice: Rockin Ever After REVIEW! Wow, wow, wow. Disney really outdid themselves with this awesome ice tour! We loved the amazing characters, the lights, the drama and fun all wrapped up in this sweet show. My 3 year old son just ADORED seeing the characters from his favorite movies. PLUS, now we have a few princess movies on our list to watch! We were able to get a cool light-up toy from a vendor, some treats and snacks, too. Kiddo was in AWE of the beautiful costumes and music. He was mesmerized by the stories, lights and fun. 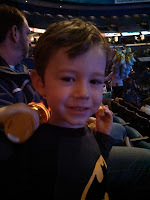 Its often hard to keep a 3 year old's attention, but the one-hour show with intermission and another one hour show really kept his attention! 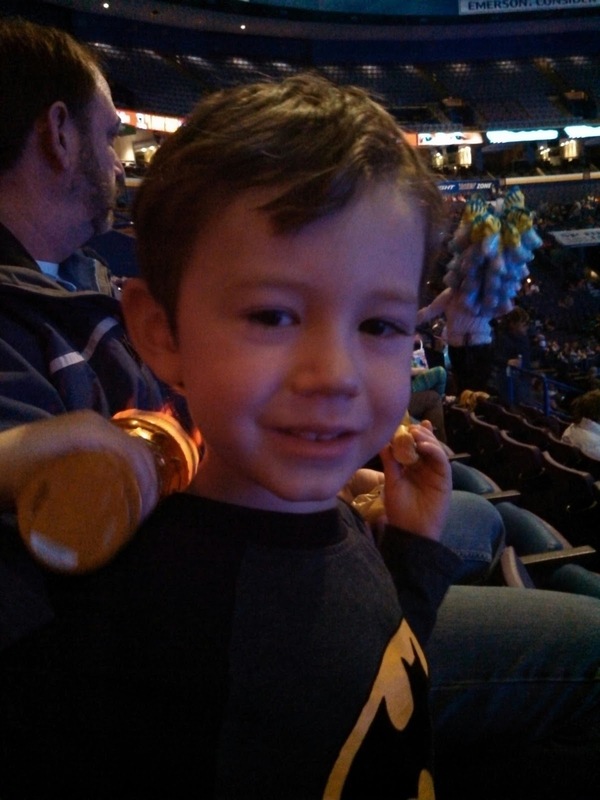 Disney on Ice ROCKED St. Louis! E shows off his light while waiting for the show to start! we just saw Disney On Ice on Feb 28th! i think i enjoyed it the most! we had never been and it was just AMAZING! my 2 year olds eyes were GLUED to the ice the whole time! such a great family experience! my 12 year old had a great time too!